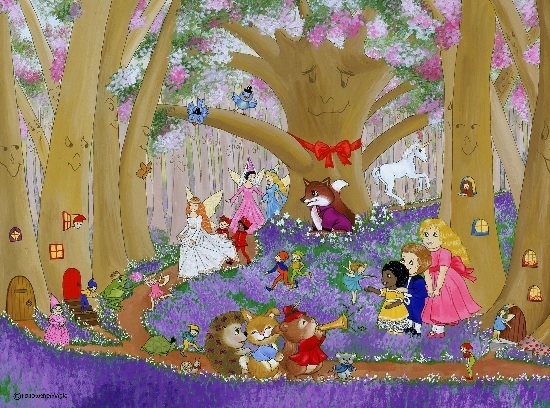 Pamela from Follow the Magic designs beautiful, detailed paintings for children’s rooms. She has now created art for paper products, baby and kids clothing, bedding and various fabrics, just to name a few. Let your children enjoy each of Pamela’s pieces. The bright colours/colors and whimsical designs will delight your children. Each piece will not just be a focal point for your child’s room but also a keepsake that can be passed down. What we enjoy best about Follow The Magic is that you can get everything from adorable onesies to throw cushions Children will love each piece and parents will love the quality and convenience of one trusted place to get your trendy designs. I was born in London, England and grew up in the Essex countryside. I started my career as a dancer for stage and television in London, Monte Carlo, Italy, France and Las Vegas. Later, I branched out into other areas of entertainment both in front of and behind the scenes, appearing on the Benny Hill Show, film dubbing for Chinese movies in Hong Kong and as a children’s theatrical agent in Sydney, Australia. Throughout the years I continued to paint, particularly colorful, detailed paintings for children’s rooms and gave them to friends when they had babies. My hobby turned into a profession when some my paintings were licensed as greeting cards and prints in Australia. 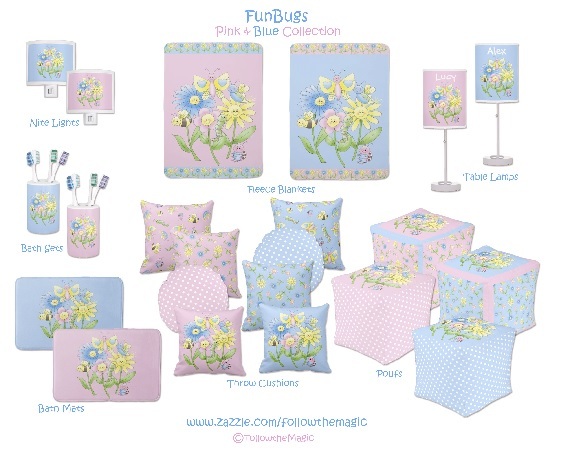 Here in the USA, I continue to create art for licensing on all surfaces including Paper Products, Fabrics, Party Ware, Wall Coverings, baby & kids clothing, Home Fashions & Juvenile Bedding. A few years ago one of my baby bedding designs won top place on a customer website survey. Some of my clients include Vermont Christmas Company, Cranston Print Works (USA), Pickaberry & Champton (Australia). 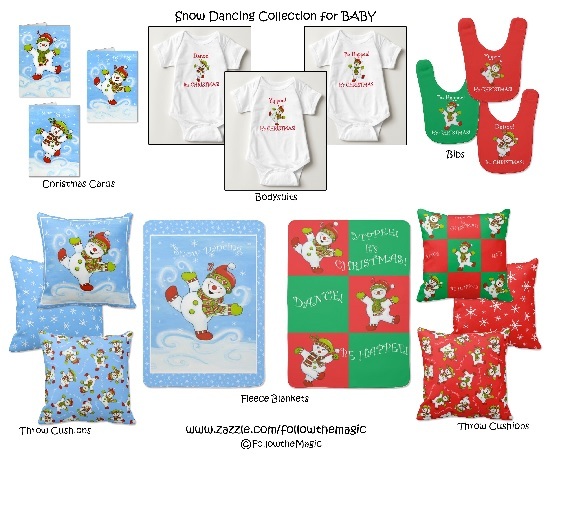 I opened my Zazzle Shop in March of this year and so far, have over 1000 products for sale worldwide. 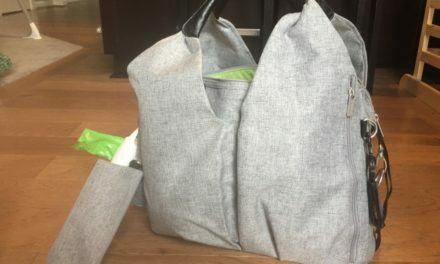 I try to create something new every day! My particular interest is with the magical, make-believe world of babies and children and creating fun, whimsical characters. I have exhibited at various art shows, including Surtex in New York. I work out of a studio in my home where I live with my wonderful husband and our darling little dog in the beautiful area of Oxford, MD. Thank you with all my heart for taking an interest in my art. I hope it makes you smile because we all need a little more magic in our lives. Vim and Vigr make stylish compression socks for both men and women! We love the sleek styles, colours/colors and patterns that Vim and Vigr offer. From socks to tights to even unisex compression leg sleeves, this store has them all. Don’t waste your time with socks that fall down and go under your shoe. It’s annoying, awkward and time consuming. Choose stylish, sensible and comfortable socks instead! All parents would want to pick up a pair of Vim and Vigr pieces to spice up your wardrobe! We started VIM & VIGR to bring the benefits of compression socks to more people who need everyday relief. Like most people, we have jobs that keep us seated at our desks or behind the steering wheel or on our feet for most of the day. Our legs were often sluggish, making after work more about recuperation than recreation and relaxation. Compression socks proved to be a great solution. They energized our legs for our post-work play, but didn’t do much for our sense of style. And so our quest to make the most stylish and effective compression socks began. All of our products are listed with the Food and Drug Administration (FDA) and ISO certified to deliver true graduated compression products. With so many fabrics and styles to choose from, our socks make it easy to put your best foot forward and be proactive about your health every day, all day. All of our legwear is available in 15-20 mmHg compression level which is perfect for all day, everyday wear. Select styles are available in 20-30 mmHg compression level. 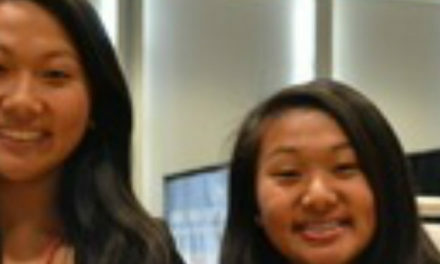 Our bloggers of the month are two powerhouses! 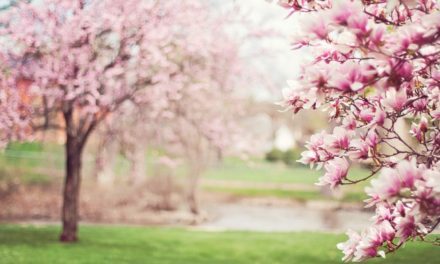 These bloggers, authors and Moms have a positive idea on pregnancy parenting: there are powerful effects of reading to your child in utero. 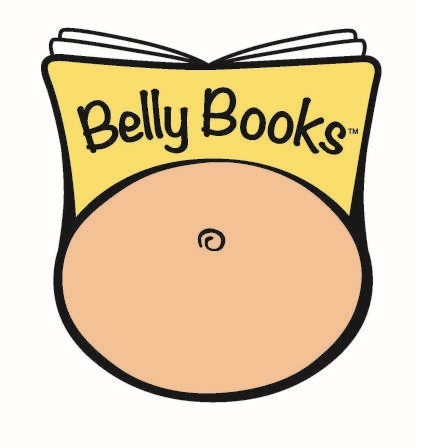 They have created Belly Books so parents can do just that. They also own The Reading Womb, a fantastic blog that is so positive and powerful for parents. Every time we read a post, we learn something new and walk away with a great lesson to apply to our parenting skills. We think you would enjoy Those Magical 15 Minutes blog post. What would you do if you had fifteen minutes to spare? 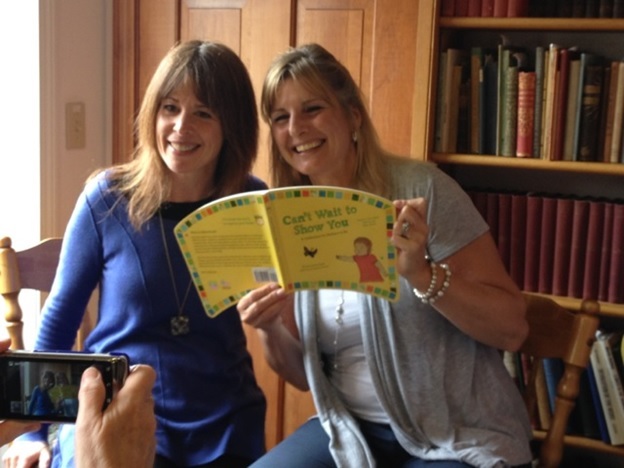 Both Susan and Jackie are also advocates of reading (they have a great series of books for your little one in utero!) We have to agree with this post, making books a part of a healthy childhood is integral for the development of the child and it creates such a special bond between parent and child. These women are inspiring, kind and positive. We think they are trail blazers in the parenting community and we are excited to see what 2016 has for both of them. They will also be guest blogging for us later in the month, so keep checking back with us! 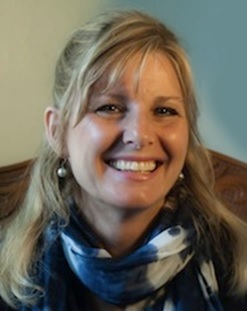 Susan and Jacqueline have been writing The Reading Womb blog since May 2011. 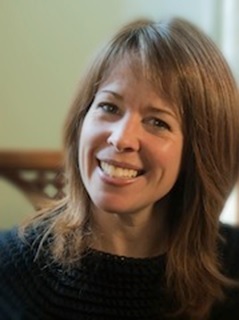 The idea was sparked a few years earlier, when Susan, then an elementary school teacher, was training to be a literacy teacher and coach through Literacy Collaborative at Lesley College. She had always known the importance of reading to children, but didn’t truly understand the power of exposing them to literacy and language as early as possible. She came upon an article about a study showing that babies in utero hear, learn, and remember language while in the womb. 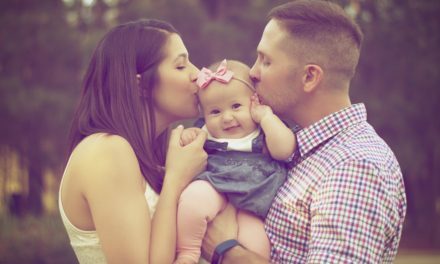 She had one of those “aha” moments: If parents started reading to their babies in the last trimester, they would become hooked on the routine, especially after seeing the effect on their newborn. Learning about all the benefits of reading to babies in the womb soon became a passion, and she recruited her best friend Jackie, a writer, editor, and blogger, to work with her to launch The Reading Womb. Now, over four years later, the body of research in this area continues to grow and their blog remains the only comprehensive online resource for news, research, and parent-friendly tips about reading to babies before and after birth. 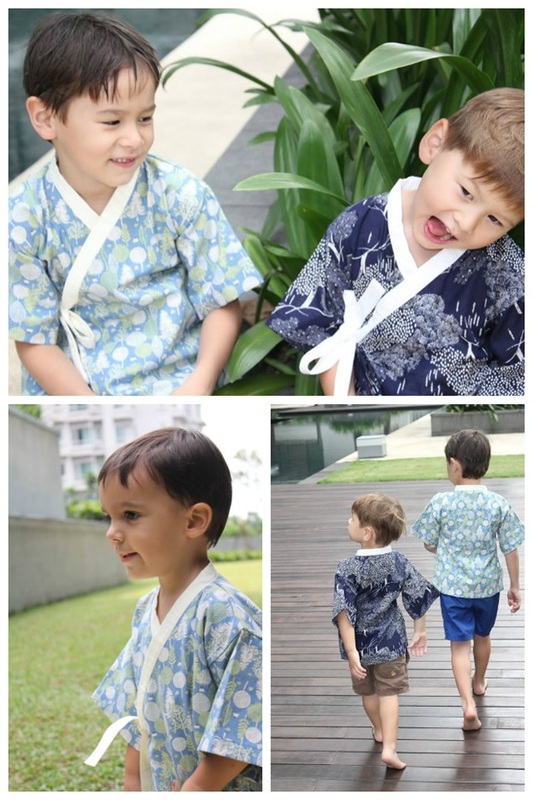 Haha No Yume Is a fantastic line of kimonos for your children that are made in Japan. 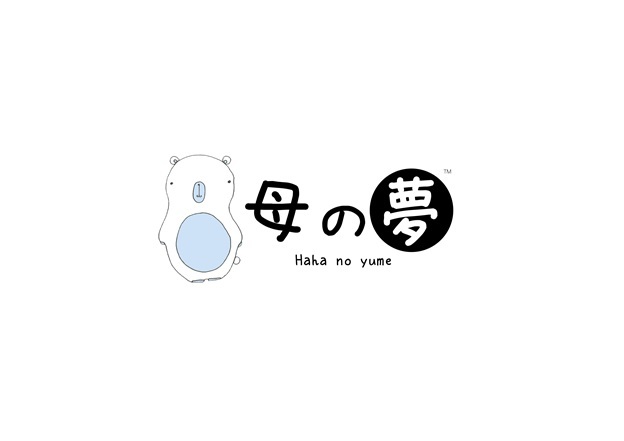 Sue, Majorie and Fiona have created Haha No Yume, which is Japanese for Mother’s Dream. 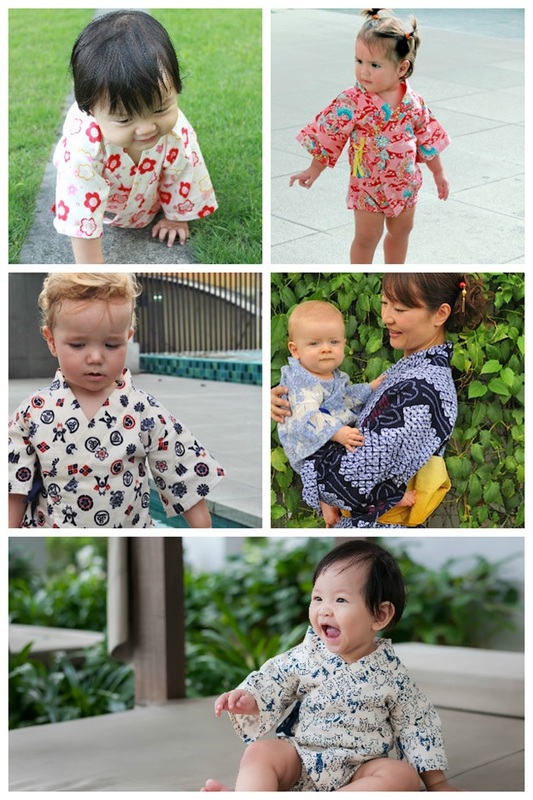 Each kimono is made of 100% soft cotton fabric that is handpicked from Japan. You can even go on the website to check out their certificate of origin! 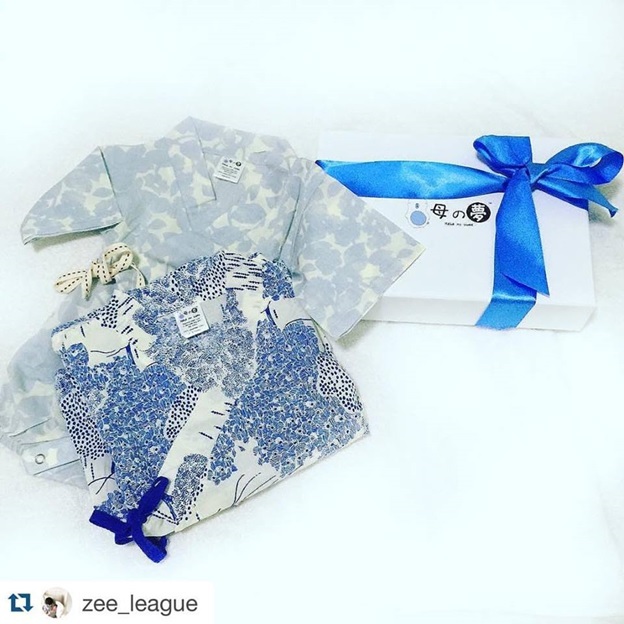 The amount of detail in each kimono is stunning and the packaging is just as beautiful as the garment itself. 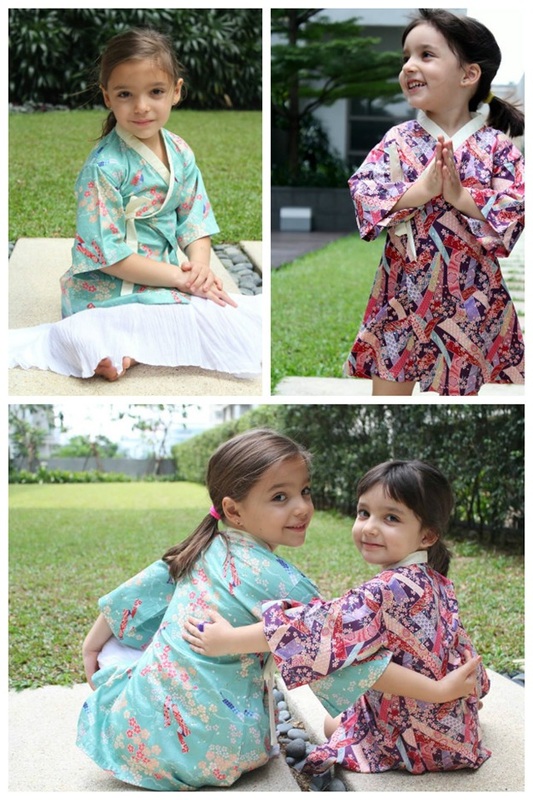 In true Japanese style each kimono is elegant, intricate and beautiful. This would not only be a wonderful gift for your children but a lovely keepsake that they can cherish. Haha No Yume is an amazing company and we see it spreading across the globe quickly. The 3 of us have taken the big leap to leave our careers behind so we can spend every precious moment with our heaven sent bundles. At the same time, we still want to be creative and do something to inspire our little ones with something to call our very own. 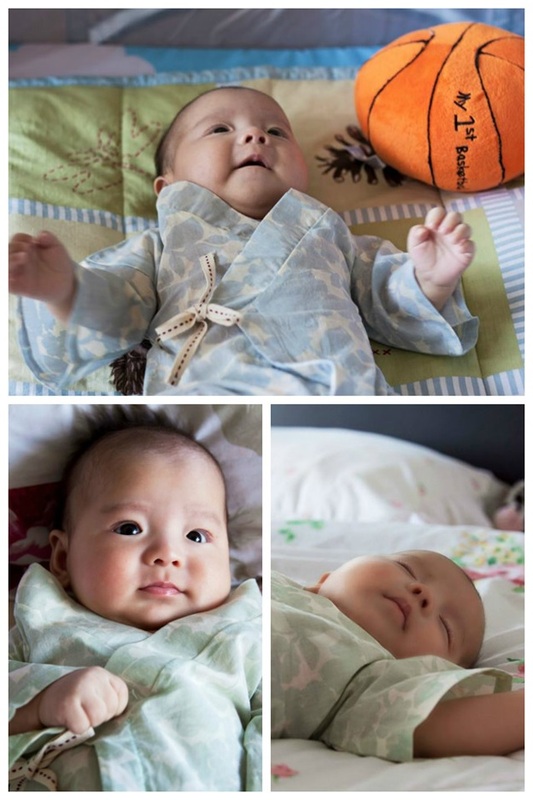 We are passionately in love with our little ones and all things associated with them. Haha no yume 母の夢, Japanese for Mother’s Dream, is the epitome for what we as mothers wish for them and all other wonderful, strong, amazing mums out there. Our 100% soft cotton fabric is lovingly handpicked from Japan, and purchased in limited quantity to maintain the exclusivity of our garments. Our concept is inspired by wabi-sabi わびさび – pure minimalism and rustic simplicity with understated elegance. Each of our garments are locally designed and made with passion. We give lots of attention to every single detail of our beautifully designed garments to ensure our young little clients are kept happy and comfy at all times! As a new start up, we value all the support we can get from all our loyal customers, families and friends. Do stay in touch, and share with us pictures of your little precious ones in our much loved outfits as well as the stories behind those pictures perhaps? We are after all connected to each other, in one way or another! Thank you so much for your very kind support.